We aim to share, influence, inform and educate through everything that we do. Sharing our knowledge and passion for Oxford is in the heads, and the hearts, of everyone involved with OPT. 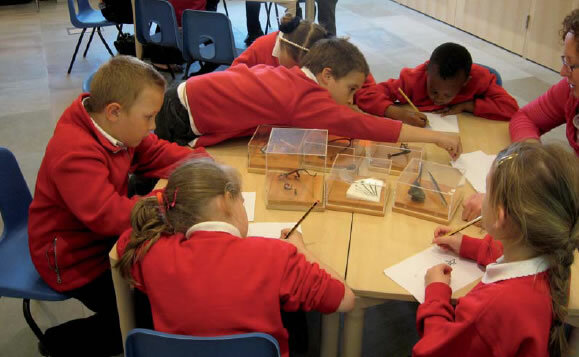 Our work with schools and youth groups, gives young people the chance to connect with their place in informal, entertaining and creative ways – from making Oxford Marmalade with Frank Cooper to inspiring children to design their own gargoyles and seeing them carved and installed on the Bodleian Library – history in the making! Working in partnership with the University of Oxford, OPT has firmly established Oxford Open Doors in the annual Oxford calendar, a key date in the City’s cultural life and a diary date for everyone. This is the weekend when Oxford celebrates across all walks of the City’s life its places and its people. Doors open and people are invited in to places not normally accessible across University, College and Town and everyone can discover and enjoy the many treasures that Oxford has to offer.